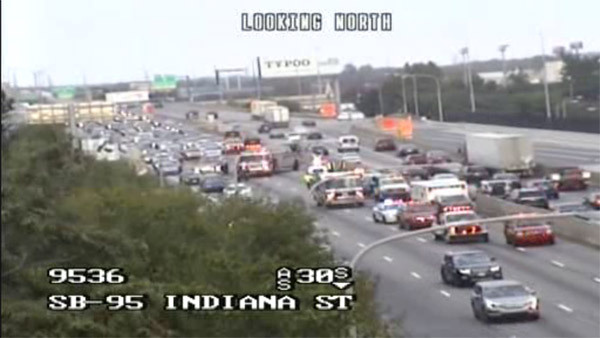 PORT RICHMOND (WPVI) -- A nine vehicle accident in the southbound lanes of I-95 in the Port Richmond section of Philadelphia caused traffic delays Saturday afternoon. The crash happened before 4:30 p.m. just below Allegheny Avenue. There are no serious injuries reported. So far, there is no word on what caused the crash. The left lanes were blocked, but have since cleared.